The US’s goods and services trade deficit fell by about 15% in January. The decrease was largely thanks to a narrower gap with China. Economists say that could be in part due to slowing front-loading and fading tax cuts. The gap between American products shipped abroad and goods the US imported narrowed by more than expected at the beginning of 2019. The US’s goods and services trade deficit fell by $8.8 billion, or about 15%, in January to a seasonally adjusted $51.1 billion, the Commerce Department said Wednesday. December’s gap was revised to $59.9 billion, the largest in more than a decade. The amount the US shipped abroad climbed by 0.9% to $207.3 billion, while imports fell 2.6% to $258.5 billion. The deficit with China decreased significantly in January, falling by $5.5 billion from a month earlier to $33.2 billion. Exports decreased by $200 million, to $7.5 billion, and imports fell $5.7 billion, to $40.8 billion. 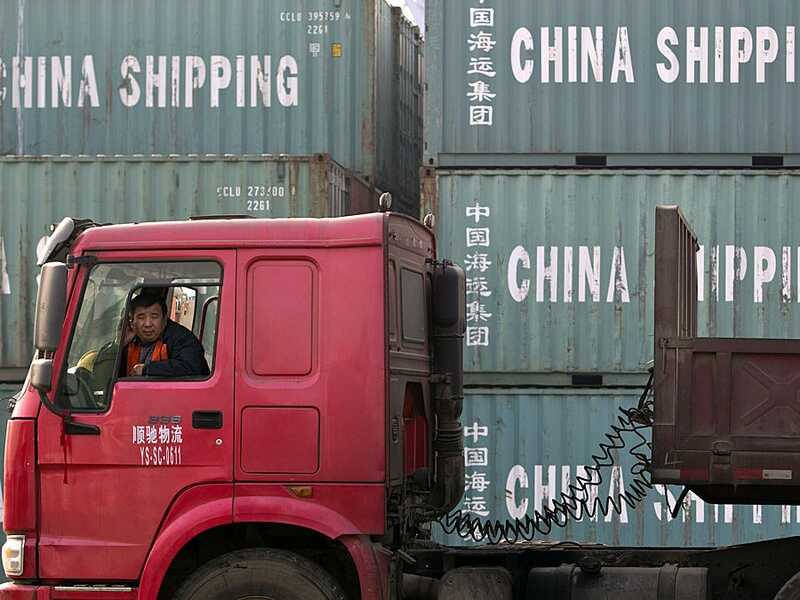 That could have at least partially been caused by a slowdown in front-loading — or companies rushing shipments ahead of anticipated escalations in the trade war between the US and China that has seen the world’s two largest economies place tariffs on hundreds of billions of dollars’ worth of each other’s products. American soybean exports jumped by $900 million in January, but shipments to China were still their smallest since 2010, according to Reuters. They fell sharply last year after China retaliated against the Trump administration with a 25% tariff on soybeans. President Donald Trump sees the trade balance as an economic scorecard of sorts, though such balances are influenced by a range of factors such as foreign-exchange rates, the strength of an economy, and the amount a country borrows from abroad. Tax cuts passed in 2017 energized the US economy in 2018, when the US saw a steadily widening trade gap with the rest of the world. As the effects of stimulus measures in major economies fade, global growth is expected to slow over the next year. “Leading indicators suggest import growth is unlikely to accelerate, especially as the dampening effects of fading fiscal stimulus and cooling domestic activity offset the improved purchasing power of a stronger dollar,” said Gregory Daco, the chief US economist at Oxford Economics. The US economy is expected to expand at a rate of 1% to 2% in the first quarter of 2019. Trade looks set to make a positive contribution to growth, according to Ian Shepherdson, the chief economist at Pantheon Macroeconomics. 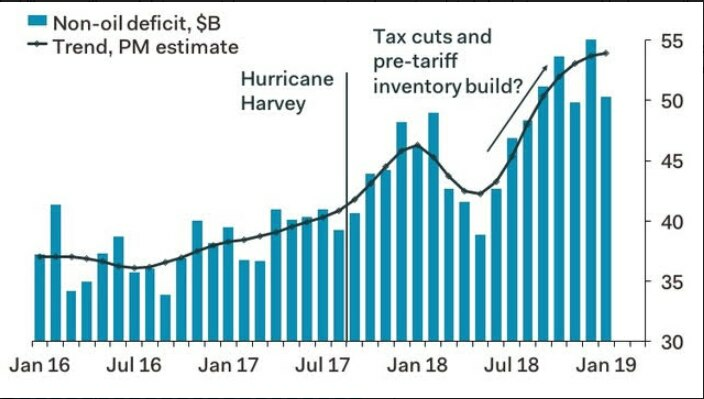 “Trade subtracted an average of 0.3 percentage points per quarter from growth last year because domestic supply could not keep up with demand pumped up by the tax cuts, but that kick is now fading,” he said.